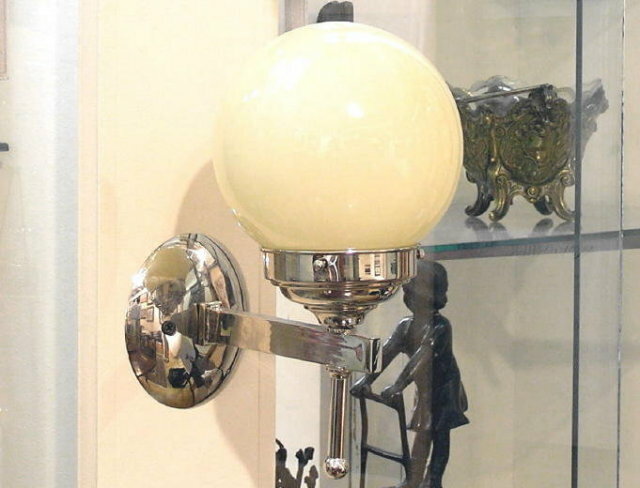 These chrome electric sconces date from the 1940s and come from Vienna Austria. 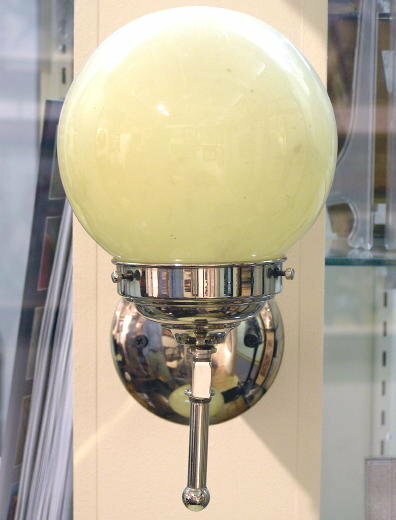 Each has what is believed to be their original opaque glass globe. 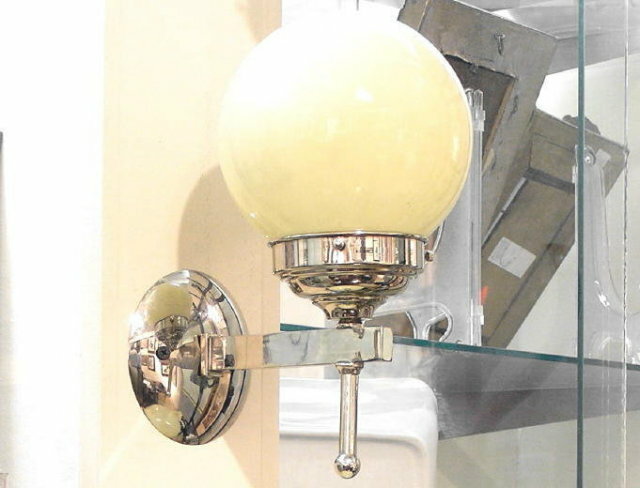 Light fixtures are wired for use, but they each need full length cords and plugs. Chrome is in excellent condition with no noticeable pitting. Globes measure approximately 6" in diameter. These were possibly designed by Carl Witzmann (1883-1952), who attended the Wiener Kunstgewerbeschule and studied under Josef Hoffmann within the Wiener Werkstätte. Witzmann created a very similar design which was produced by Woka of Vienna in 1929. This important lighting company is still in business today. 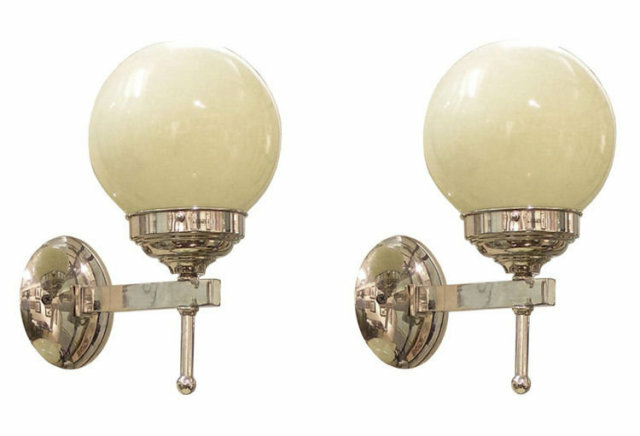 Items Similar To "Pair Art Deco Mid-Century Chrome Sconces"